The perceptions of Walsall past are looked at by many people through rose-tinted glasses to say the very least. 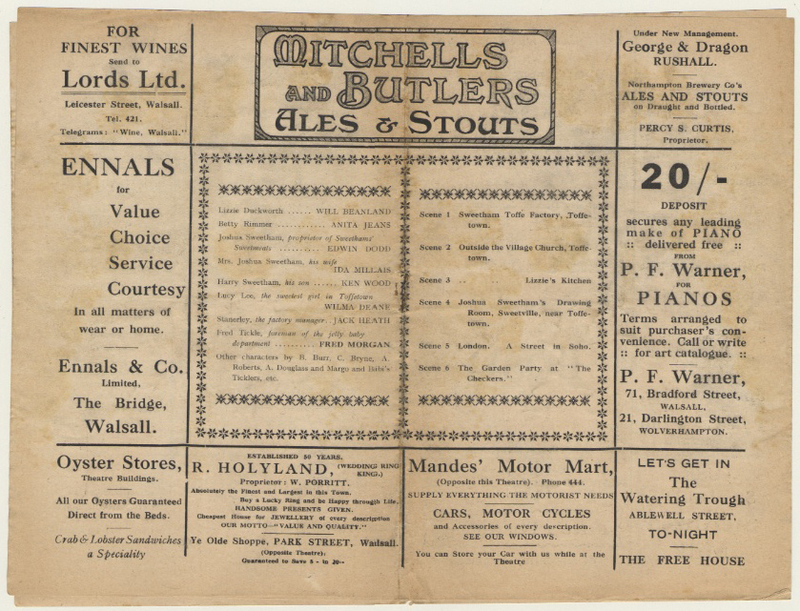 Words such as beautiful and spotless are regularly used to describe scenes of old Walsall shown in postcard pictures posted on social media sites; the pictures may be both of those things but the town certainly wasn’t. 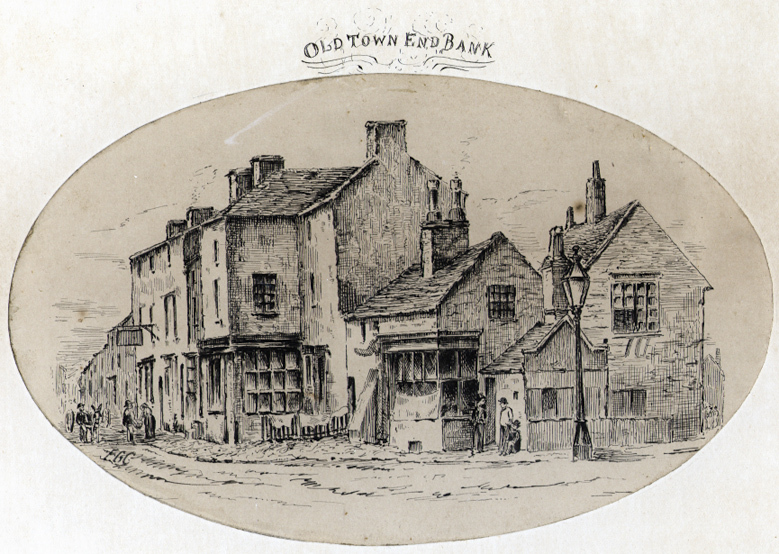 A copy of the well known illustration of Town End Bank c.1880. 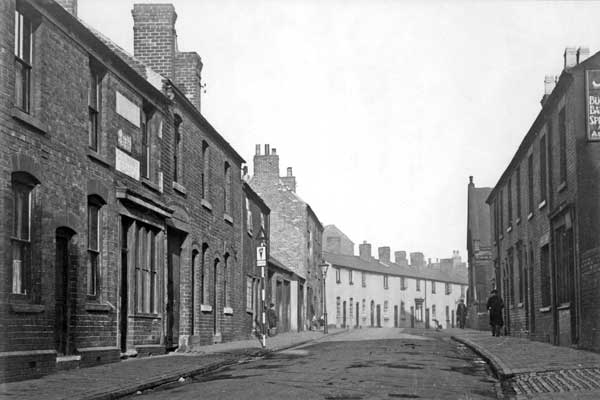 In the 1830s the Wisemore, just to the east of Town End Bank was a densely built-up area. 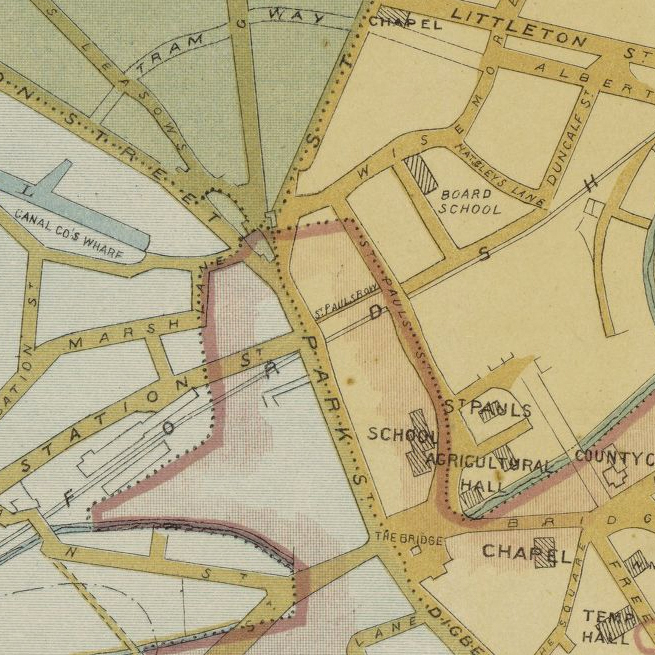 In 1867 the area was described as one of “smoke and lime-kiln, gasworks and Irish hordes”. 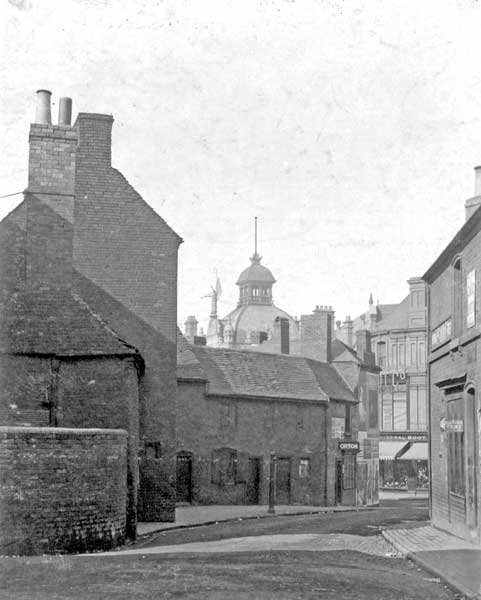 In 1876, the year Walsall Races finally came to an end, saw changes around Town End Bank too with the beginning of slum clearance. 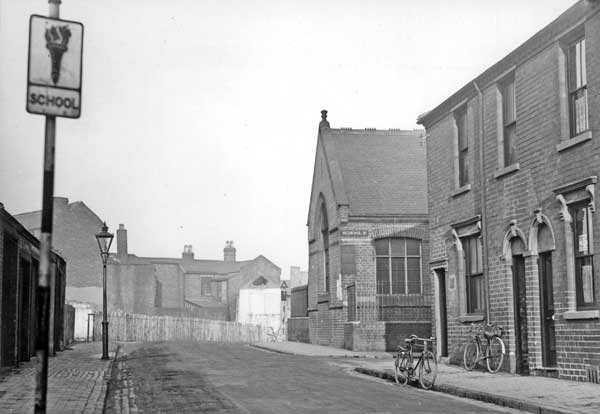 In the late 1840s a Ragged School was established in Pig Lane by a group of people who included E. T. Holden, later Sir Edward Holden. In 1849 the school was moved to a new building at Town End Bank but closed a year later. Edward Holden explained to the town folk the reason for its closure as being “the smell of the children was such to impair the health of the teachers”. 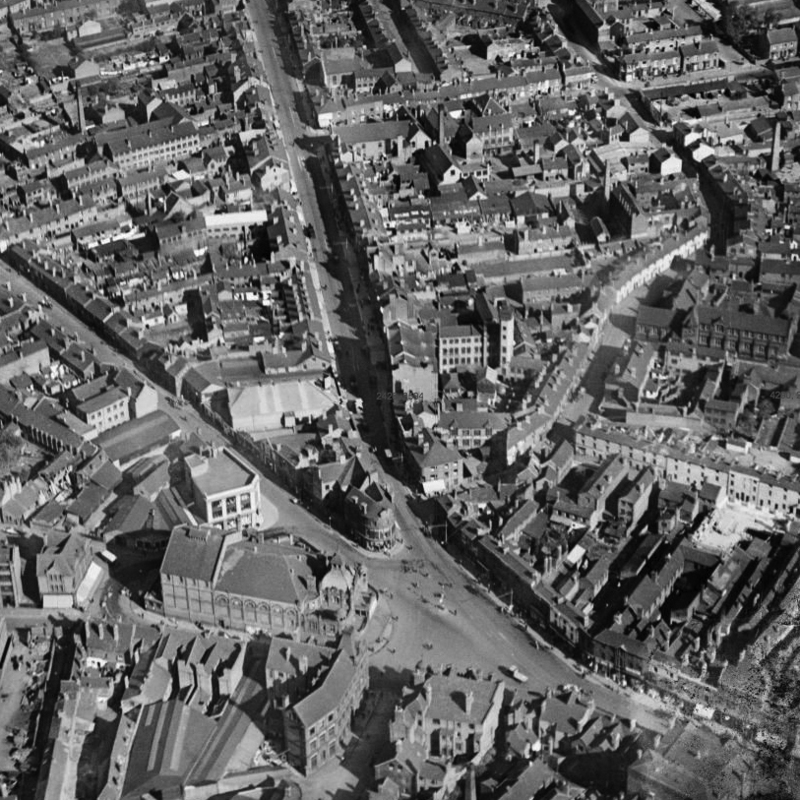 Of course, around this period Town End or the Wisemore were not alone in their squalor, the area around St. Matthew’s Church was non too good either, ah, the good old days! The map above shows clearly the central area of the town around 1875. Although a copy of this map is held at Walsall Local History Centre in Essex Street its condition is poor in comparison to this one held in an archive in France and digitally reproduced on the website shown after the caption. 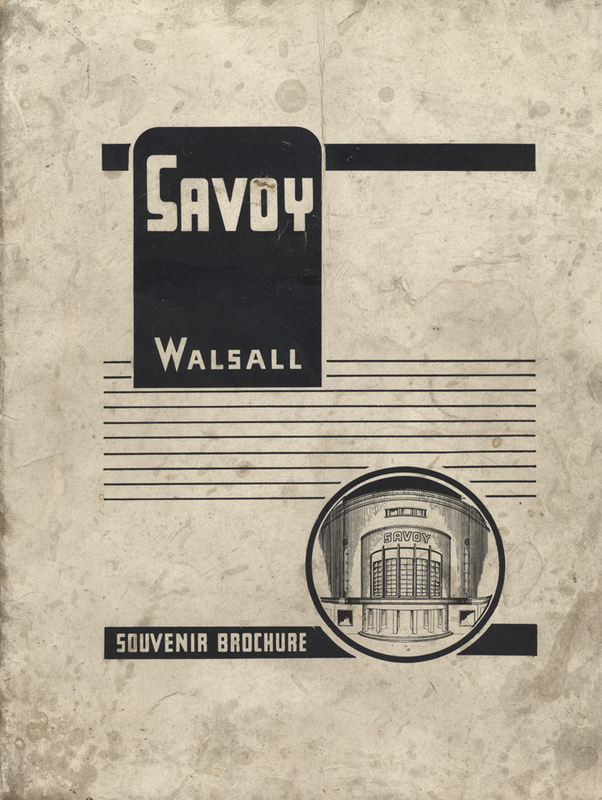 It is titled Aulton’s Map of Walsall and was produced by Councillor Arthur Daniel Aulton and lithographically printed by A. T. Taylor. 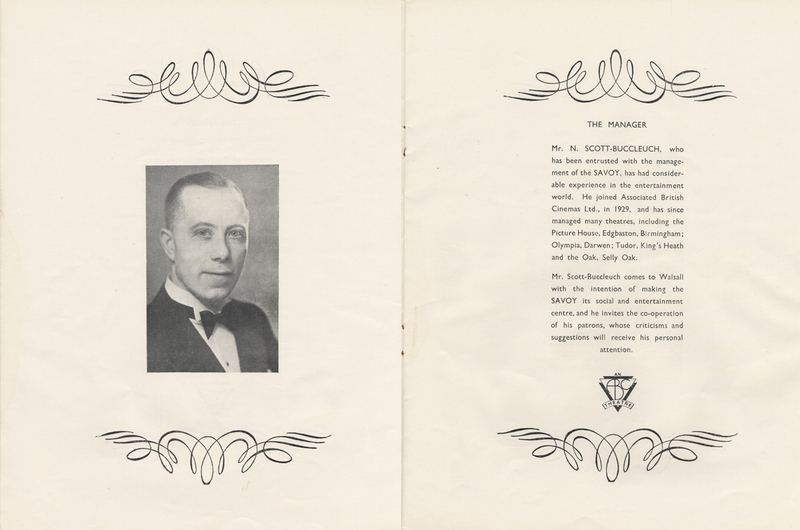 Arthur Aulton, an accountant by trade, was an influential character in the town around this time being involved with the races and Walsall Town F.C. The map is an excellent piece of work showing all of the Borough and the Foreign, the former being clearly defined by a red border. Around the perimeter of the map are thirty-six advertisements showing details of various local businesses. In 1900, on the site of the old Town End Bank, Her Majesty’s Theatre was opened, becoming a variety theatre in 1905. 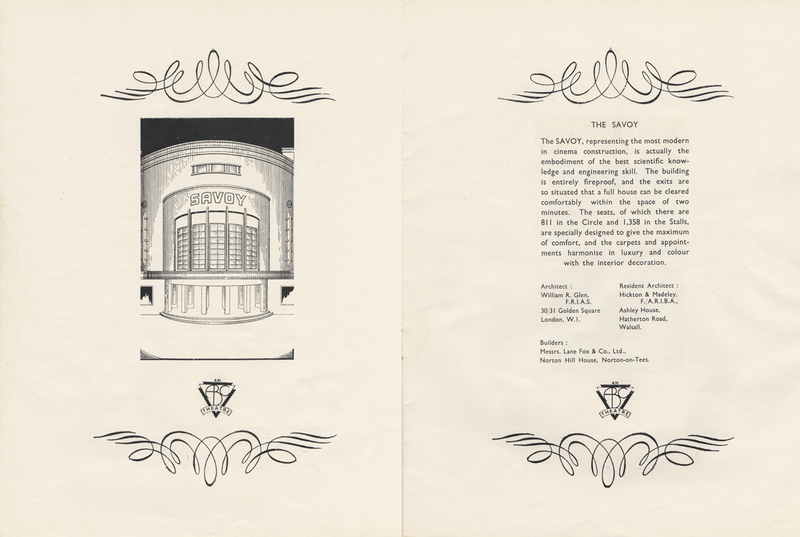 In 1933 the premises was converted into a cinema and just four years later it was demolished to make way for the Savoy Cinema which opened on the same site in 1938. 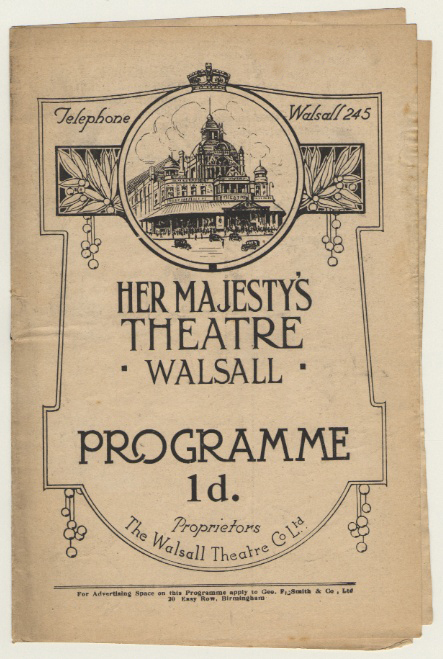 A programme cover from the show on 24th May 1926. 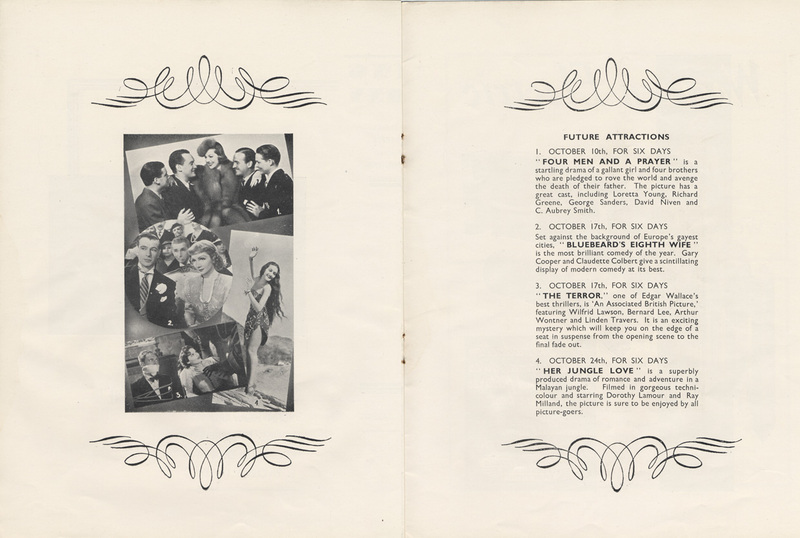 The centre spread of the programme on 24th May 1926 showing the cast of the play, Mr. Tickle M.P. 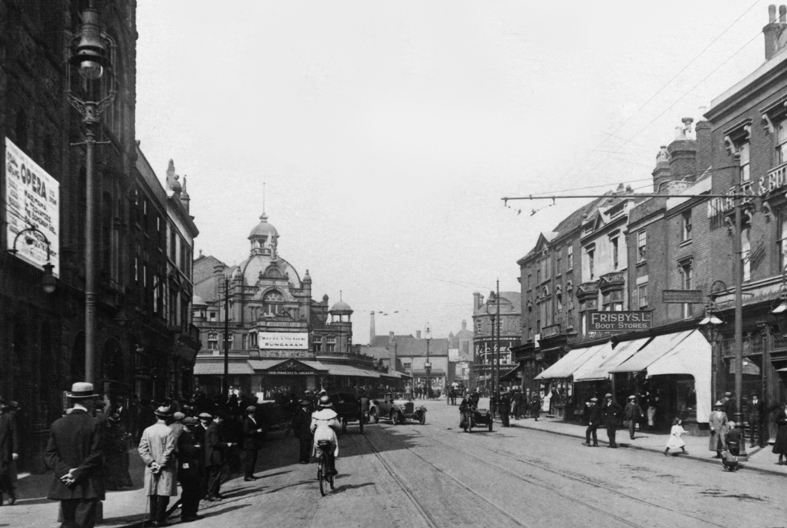 An excellent picture of a bustling Park Street showing the two theatres. On left is the side wall of the Grand with Her Majesty’s in the distance. 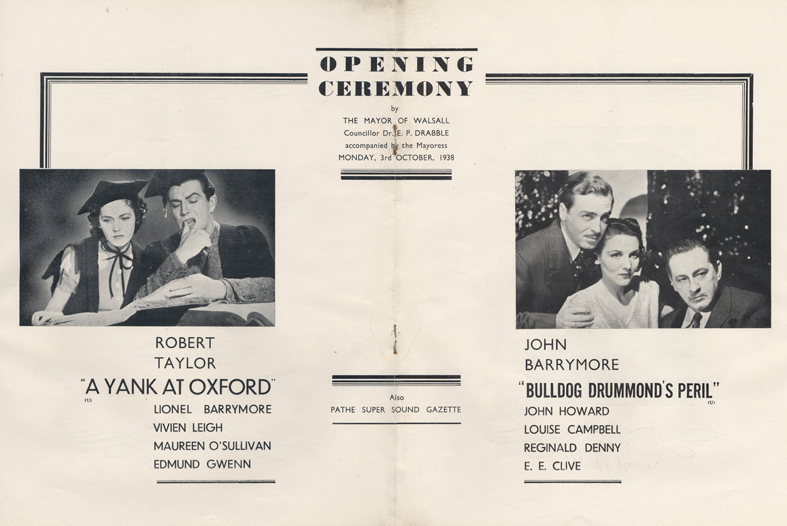 Below are pages from the original brochure produced to celebrate the opening of the cinema in October 1938. 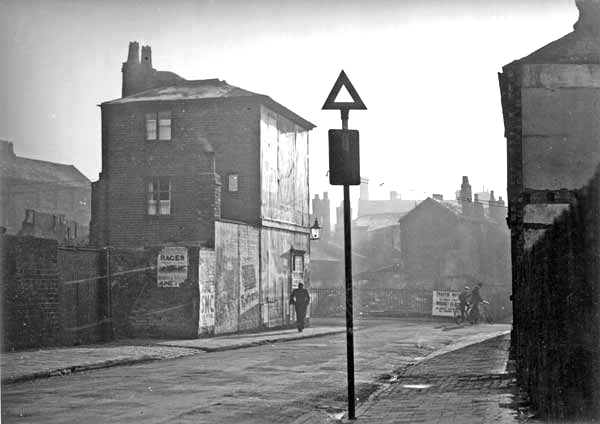 It was around fifty plus years before the same thing happened in the Wisemore, Short Acre and Long Acre Streets. 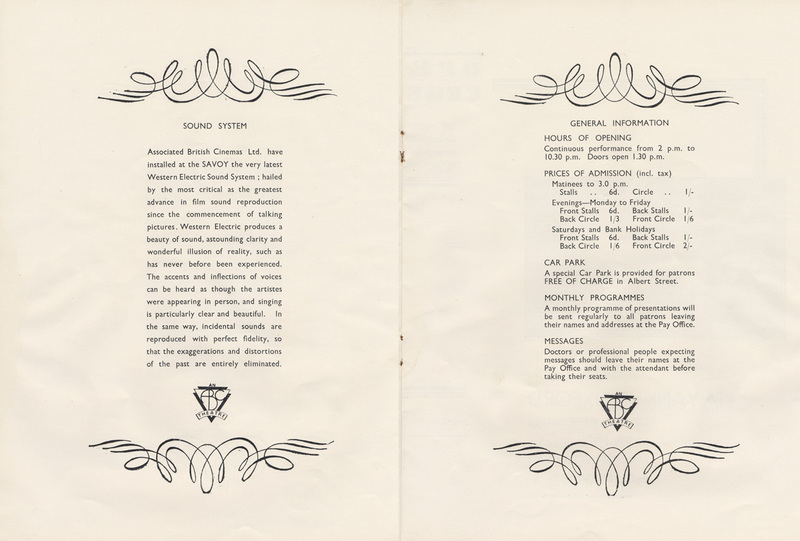 In 1949 on the site once occupied by the Wisemore Schools building began on another educational institution, the Technical College. Building continued until 1969 on the college and during the twenty-year period the Wisemore of old slowly became just a memory. The living conditions around the Wisemore were of very poor quality. In January 1888 a reporter from the Walsall Free Press visited the Wisemore Board School and wrote of his findings which were not pleasant. Many of the children were described as being half-starved with clothes that were little more than rags. On the day of the visit it was a bitterly cold, wet morning and many pupils were described as “shivering, haggard faced little mortals”. Many of them had what can only be described as an excuse for shoes on their stocking less feet. The boys had no jackets, just shirts that had more holes than material and the girls were no better off as they wore just one thin, ragged little dress. When asked they told of no fire, no breakfast and no dinner! One little girl came to school wearing nothing but a pinafore and old shoes. The teacher gave her a dress which the little one was very proud of but commented “her’ll only pawn it”, referring to her mother who had done something similar a few days before with a flannel given to the girl. One of the teachers asked her class, “Hands up those that have no father”, from thirteen children seven raised their hands. They were then asked how many of those who had fathers who were in work, this time few raised their hands. A few children in the entire school were described as chubby, well-fed and dressed pupils with the majority being of the very poorest class who were in dire need of a good feed and some warmth. In the boys classes, 54% had the fees paid by either the Board or by guardians. One unfortunate child without a father had no less than nine siblings! One female teacher always had a large loaf and an equally large piece of cheese on hand every day to feed several boys at lunch time, the money for this kind deed was from the teacher’s own pocket and also collected from her friends. Many of the masters, mistresses, teachers and officers as the paper describes were quite willing to provide help for the waifs in any way they could. For the princely sum of £12 an automatic soup maker complete with basins and spoons could be installed which would cook soup overnight and be ready for the pupils mid-day meal, this way the most needy children would have at least one hot meal a day. The teachers etc also made it their business to collect old clothes and in particular, shoes. It appears that the staff at the school were much more aware of the children’s needs than the parents, although in fairness many parents could do little to help anyway. 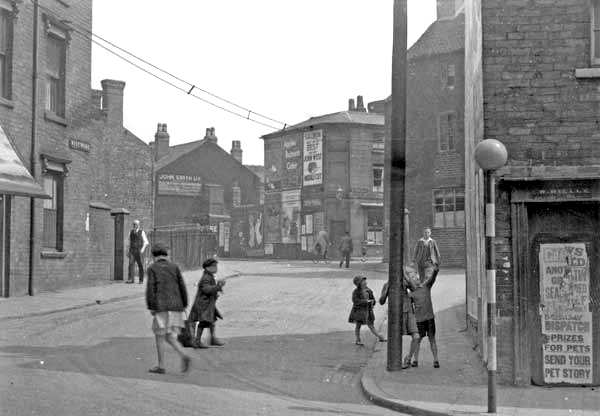 Beautiful and spotless old Walsall is described as by some today, try telling those kids if it were possible! 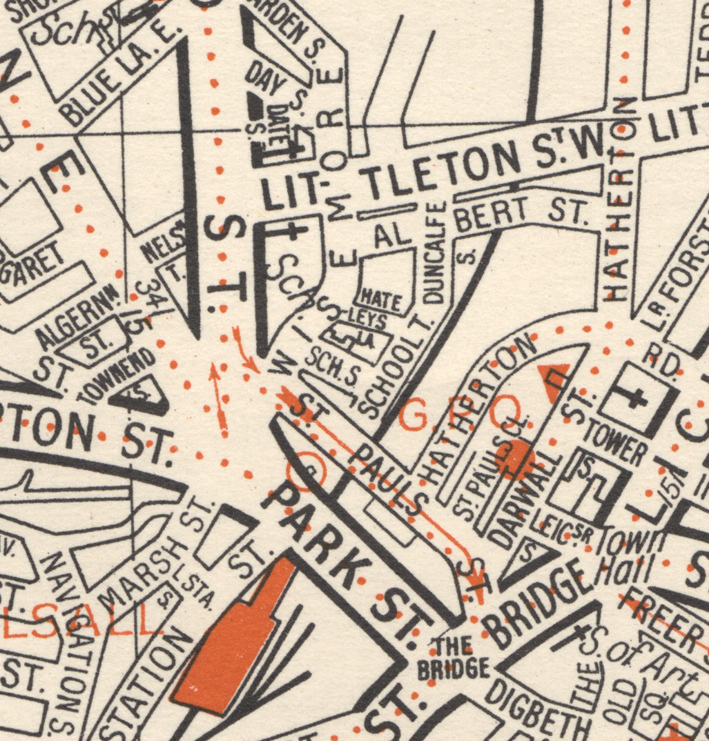 A 1950s map of the same area as the Aulton map but some seventy-years later. 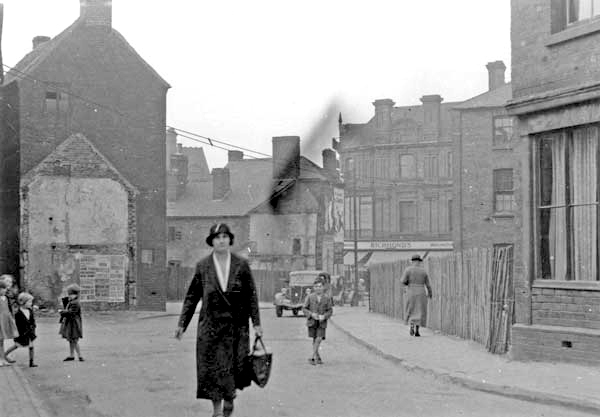 By the time I was up and around the town centre independently in the mid 1950s all, or most of the housing around the Wisemore had gone but some of the street layout remained. One thing I do remember is the PDSA van that used to stand just up from the corner of Stafford Street and Wisemore. Every Saturday, presumably other days too, there was always a large queue of people with their sick pets waiting to see the vet’. Whilst waiting with my pal who took his cat to see the vet’ there was a man with a very long thin box previously used for transporting drill bits but that day it contained a sick snake! The next time your are sitting at the traffic lights on the Wisemore/Littleton Street, facing Tesco and looking towards the town, think about it, you are sitting on the Wisemore described above. It may not be perfect but one thing has changed though, hopefully, the squalor has gone. that way we can all benefit, thank you. You are currently reading Town End Bank and the Wisemore at Walsall Life.